If you're looking for printers and printer supplies like ink cartridges, printer replacement parts, and printing media you need look no further. Our selection of high quality printers will handle any printing job you throw at them, and with fantastic rebates, warranties, and hundreds of dollars in free print media, you'll get the most bang for your buck with The IPS Store. 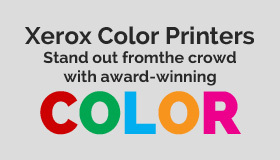 We even carry Xerox printers and supplies! Purchase all of your printing supplies for your business or personal needs and save with free shipping on orders over $300! With over 20 shipping locations throughout the United States, you can rest assured that your printer supplies and replacement parts will reach you quickly and safely. Please don't hesitate to contact us if you have any questions or concerns! WE SHIP FROM OVER 23 US LOCATIONS! FREE SHIPPING ON ORDERS OVER $300 & FLAT RATE SHIPPING ON SMALLER ORDERS ! This means you get your inks and paper on a timely basis. Check out our new showroom/office in Las Vegas near Mandalay Bay at 105 E. Reno Avenue, Suite 18, Las Vegas, NV 89119.
call us at 1-949-432-7016 and we will do our best to match.